Bare Water™ is Ultra-Filtered. Bare Water™ is Fresh. Bare Water™ is Less Expensive. Bare Water™ is Safer. Bare Water™ is Local. Bare Water™ is Green. Bare Water™ is Hydrating. Bare Water™ is Delicious. Bare Water™ is Bare. Sometimes the body just needs WATER... no flavors, no powders and no sugars... just simple, clean, refreshing water - Bare Water™. Bare Water™ is good for your body - it is cleaner, safer and healthier than municipal water sources (think Flint, Michigan) and improves the body's natural function. Bare Water™ is good for your wallet - it is less expensive than "other" commercially available purified drinking waters. Bare Water™ is good for your environment - it has an overall smaller carbon footprint than bottled waters and has zero impact on our nation's landfills. Bare Water™ is good for your pet - fish, dogs, cats and birds love Bare Water™! How local is Bare Water™? When you fill your bottles at a Bare Water™ location, you are literally standing a few feet from the source. The water is filtered, softened and sanitized ON SITE just moments before being dispensed into your bottle - you can't get more local or fresh than that! Buying local is also beneficial to our environment: 1) It eliminates the need for gas-guzzling air-polluting delivery trucks, thereby reducing the carbon footprint and 2) also eliminates the need for huge landfills to dump all the empty bottles (which will never biodegrade!). Do the right thing for your health and the environment, buy Bare Water™. When compared to bottled water, Bare Water™ costs about 75% less. How can Bare Water™ charge so little? Well, we don't need a huge manufacturing plant to make bottles or a processing plant to fill them. We don't need trucks or labor to deliver those bottles across the country or to the local stores. We process and dispense ultra-filtered water on site whenever you want it right into your bottle, no need to slog your containers through the grocery store ever again. Bare Water™ is direct from the source to you. We don't sell to a distributor, who then sells to a store, who then sells to you. Mmmmm... fresh for less! When you were a kid, you'd drink from the water hose. As an adult, you might also drink from your home tap, trusting it to be safe and clean for you and your family, but don't be so sure. Bare Water™ providers use a sophisticated water-treatment system designed to remove dirt and other solid particles, chemicals, and bacteria left behind by the standard municipal treatment process, making it cleaner, safer and better tasting (without any added chemicals or additives!) than the tap water from your local water provider. Trust Bare Water™. Athletes of all ages can benefit from drinking good water; it nourishes muscles, improves performance, restores strength and removes toxins and other pollutants. As a matter of fact, athletes across the country believe in Bare Water™. It is the official water of The Dallas Roughnecks (Professional Ultimate Disc Team). Whether you are a 4 year old soccer star, competitive runner or cyclist, peewee football hero or athletic champion of yesteryear, drink the water that you and your body deserve! Drink Bare Water™ to perform at your best. Note: Cold, delicious Bare Water™ is dispensed into your container in four convenient quantities/sizes: 32 oz, 1 gal, 3 gal and & 5 gal. 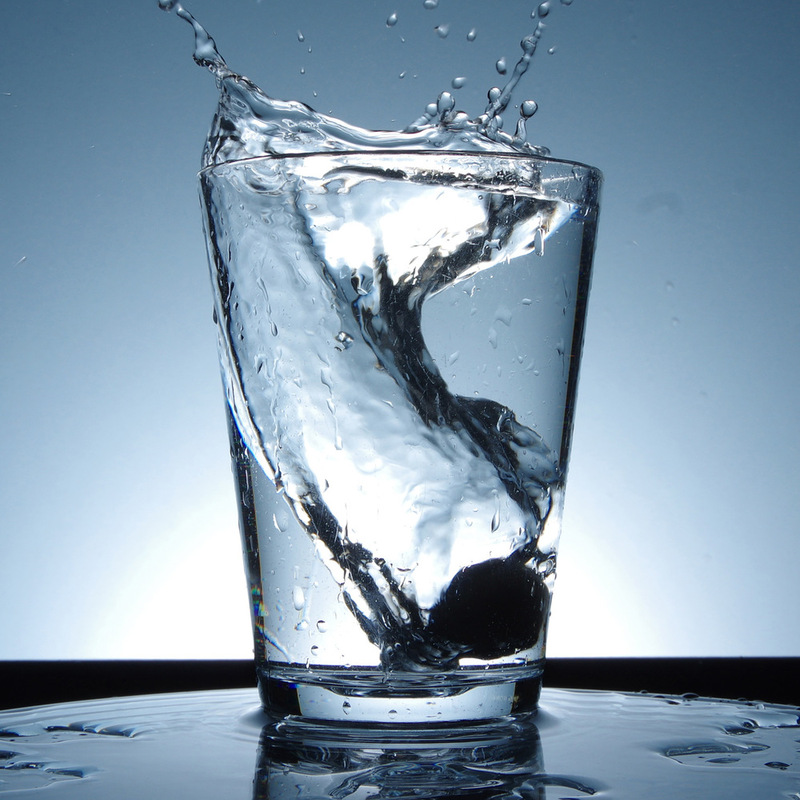 The average human body is ~65% water, and hydration is one of a few essential needs for human beings. Water is critical to health and efficient body function, providing 5 essential functions: 1) carries nutrients to skin, hair and organs, 2) removes waste and toxins from the body, 3) helps with digestion, 4) regulates body temperature and 5) acts as a lubricant for joints and a cushioning agent for eyes, brain, and spinal cord. Bodies function best with regular consumption of clean water, why risk your body to anything less than ultra-filtered, pure Bare Water™? It may not make sense to think pets love clean, fresh water when they often drink from our toilets and chlorinated swimming pools and spas, but customer feedback provides evidence to the contrary. Animals have keen senses and are very discerning ... especially about water. Customers report their cats and dogs prefer* Bare Water™ over standard tap water (*based on daily water consumption when offered both tap water and Bare Water™ side-by-side). Good clean drinking water for your pets is essential and helps them lead happier healthier lives and live longer! Bare Water™ is also ideal (and much safer) to refill or add to your fish aquariums! Bare Water™ can be found in communities across the United States and more locations are being added daily. The map below shows locations currently dispensing both Bare Water™ and Gourmet chopped/crushed ice made using Bare Water™. You can even refine your search to include locations offering Reverse Osmosis water and purified ice services. Shop local. Shop smart. Shop for Bare Water™. More locations coming soon near you! Bare Water™ branded drinking water is produced using HealthWise™ micron filtration and or Reverse Osmosis. These treatment processes allow us to deliver the cleanest, best tasting drinking water and ice products possible - always cleaner and safer than the local municipal water source, and often clean enough to be classified as "Purified," the highest filtration designation allowed by US Health & Safety. The way this works... local city water is received and treated using a multi-stage, multi-step process involving various layers of filtration screens and materials and filtration membranes of different sizes. The filtration process removes impurities, chemicals, bacteria and unpleasant tastes without added chemicals or flavors. Each Bare Water™ location is independently owned and operated and responsible for the quality and all claims made. For more details regarding the filtration process used by your local Bare Water™ dealer, please contact them directly. Bare Water™ is a trademarked name licensed to its subscribers and does not in part or whole own, test or maintain individual sites advertising Bare Water™. Each location is responsible for the quality and claims they make.